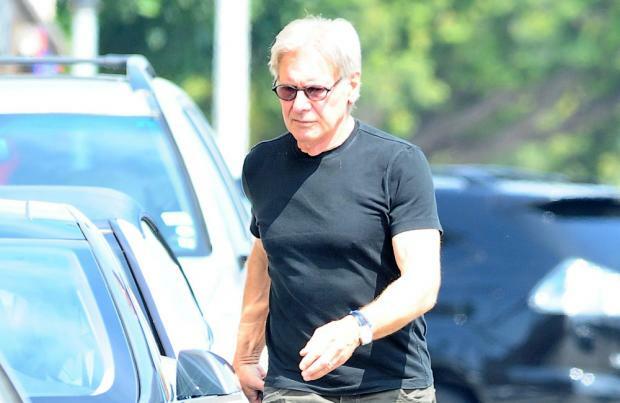 Harrison Ford's injury to delay Star Wars release? Harrison Ford's injury will reportedly delay the release of 'Star Wars: Episode VII'. The 71-year-old actor - who plays Han Solo in the Disney sci-fi franchise - was airlifted to hospital last week after he was crushed by a hydraulic door at the Pinewood Studios in Buckinghamshire, south east England during filming. Although it was initially reported that he'd broken his ankle it was later confirmed that he had In fact broken his leg but had undergone successful surgery and was set to begin eight weeks of rehabilitation treatment. And despite Disney claiming they are still on track to release the film - which also stars Mark Hamill, Carrie Fisher, Oscar Isaac and Lupita Nyong'o - on time, it's rumoured the severity of Ford's injury has forced filmmakers to discuss pushing back production by a significant amount of time, Jedi News reports. A meeting is said to have taken place at Pinewood yesterday (23.06.14) but no announcement has so far been made by Lucasfilm, Bad Robot or Disney and therefore the scheduled release date for 'Star Wars: Episode VII' remains to be in December 2015. Meanwhile, Tom Cruise is said to be in talks with the film's director J.J. Abrams - who directed him in the 'Mission Impossible' movies - about a cameo . "On Saturday evening five of them met up for dinner and drinks at the Belgravia Hotel. J.J loves working with Tom whenever he gets the chance."